What’s All This Talk of Minerality? What is this minerality thing? Most rocks when ground to smithereens do not have much taste or flavor. Nevertheless, few would dispute that Rieslings grown from differing soil profiles often exhibit extremely different organoleptic characteristics. Because of the lack of interference of other elements – malolactic fermentation, oak, elevated alcohol levels, etc. 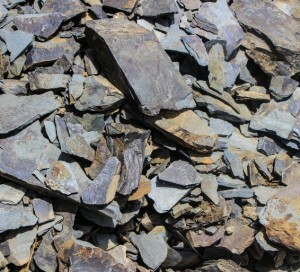 – one can very easily learn to distinguish the flavor of Riesling grown on schist as compared to slate or limestone. Because Rieslings are grown in such minimal soil on the steep slopes of the greatest vineyards in Germany and Austria, they must derive their moisture from exploring the fissures of the fractured subsoil, mining for water. Vines grown under these extreme conditions, as well as older vineyards (with the deepest roots) will tend to exhibit the highest degree of minerality. It is also believed by some that the putative elevated mineral content of Riesling is implicated in the wine’s prodigious longevity.